It’s hard not to compare The Meg’s premise to every other shark movie on the SyFy channel. I could easily imagine some writers pitching this movie to a studio Sharknado-style: absurd shark-based title first and narrative second. But, believe it or not, The Meg is based on a book from 1997, which grants it a Hollywood-level budget and a shred of credibility. 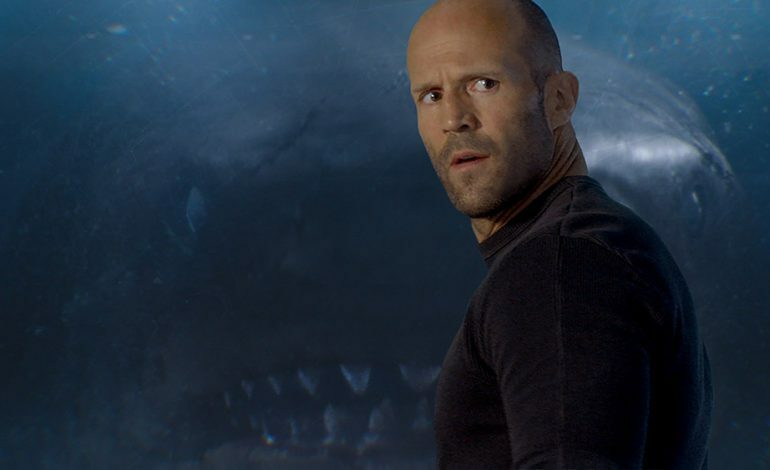 That is, instead of sharks inside a tornado or turned into ghosts, we get something a bit more accessible: Jason Statham fighting a Megalodon. Of course, this means that anyone watching The Meg should take the final product at face value. It’s a satisfactory B-movie filled with stock characters played by competent actors in a plot that makes just enough sense on paper. In other words, it leans more towards Deep Blue Sea than Sharknado on the “shark movie” rating scale. 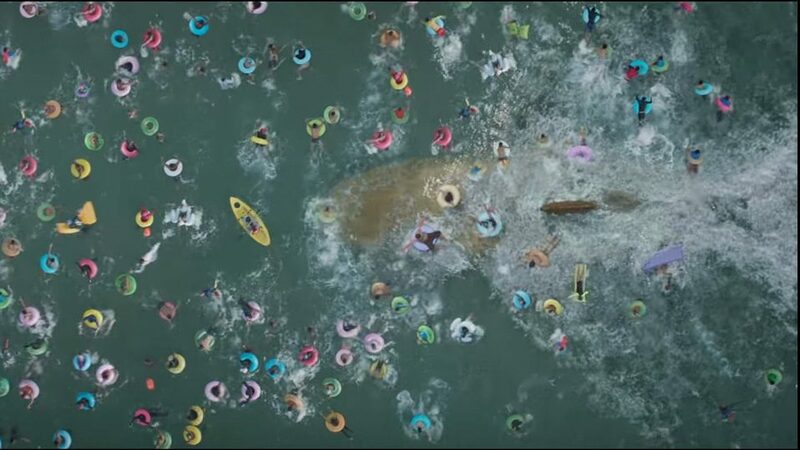 But, like nearly every shark movie that isn’t Jaws or The Shallows, The Meg seems content with just being passable in execution. Don’t expect any insane twists or Oscar-worthy performances from this one. I wasn’t kidding about this film’s plot being interchangeable with one of the SyFy titles. 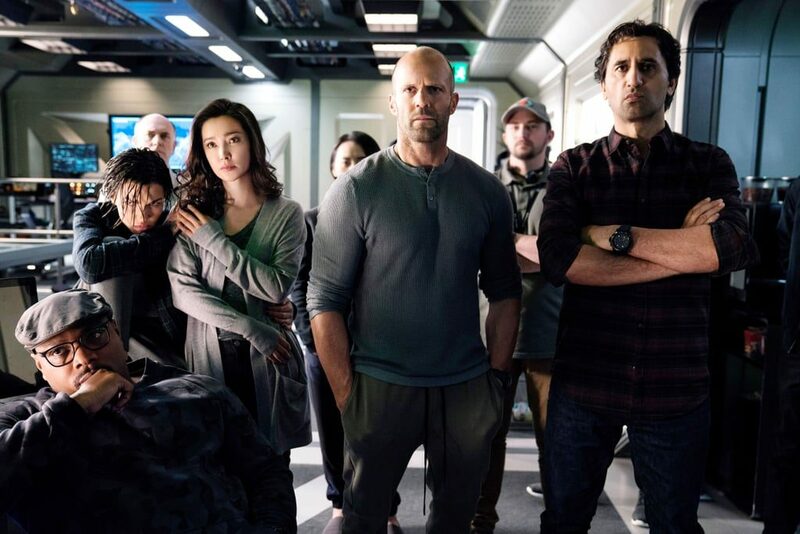 Jason Statham plays Jonas Taylor, a rescue diver pulled out of his drunken retirement by former colleague James “Mac” Mackreides (Cliff Curtis). Mac, an employee at the underwater research facility Mana One run by Dr. Zhang (Winston Chao), needs Taylor to rescue a trio of oceanographers stuck at an uncharted level of the ocean. And one of them conveniently happens to be Taylor’s ex-wife Lori (Jessica McNamee). Also convenient is Lori’s final transmission, which details an enormous creature similar to one Taylor claims to have witnessed in a rescue mission gone wrong. One might expect that plot line to take up half the movie, but Taylor pulls off this rescue within the first act alone. In a moment of déjà vu, however, one crew member sacrifices himself to draw the attention of this mysterious creature: a very non-extinct Megalodon. There’s a supposed scientific rational for this reveal involving an ice wall, but it’s non-important in the grand scheme of things. Bottom line: the creature escapes its deep-sea confines, so Statham and the scientists must kill it. The presentation of the actual shark was honestly better than I expected. The VFX department made no attempt to hide the Megalodon’s CGI design but surprisingly refrained from endowing it with absurdly stupid abilities. Instead, the film opts to emphasize the shark’s scale using birds-eye wide shots or close ups that dwarf other figures by comparison. This helped make the shark actually feel threatening in certain scenes, rather than a laughable parody of the ‘invincible predator’ trope. A similar argument can be made for the supporting cast, all of whom play straightforward genre archetypes. This includes Robert Taylor as a scientist who partially holds a grudge against Taylor, Ruby Rose as the “cool” tech designer and Li Bingbing as Dr. Zhang’s oceanographer daughter/Statham’s sort-of love interest Suyin. There’s no Independence Day moment where the actors elevate their characters beyond basic clichés, but they at least do the next best thing and feel likable. Shuya Sophia Cai is particularly adorable as Suyin’s daughter Meiying and shares a rather sweet relationship with Statham’s character. Even The Office’s Rainn Wilson plays his billionaire investor character as mostly competent simply by not wanting to capture or exploit the Megalodon for financial gain. As for the epic confrontation between man and shark, The Meg might as well be a more extreme version of Jaws. I say this because so many of these scenes are obvious Jaws homages with a tint of self-awareness. This is most notable during an extended boat sequence where Statham and co. place a tracker the Megalodon and then inject it with poison from a shark cage. There’s even a beach scene where the shark feeds on some unsuspecting vacationers, albeit less subtly compared to Steven Spielberg’s 25-footer. None of it is original, but at least it’s entertaining for non-accidental reasons. And that’s the thing about The Meg: it’s entertaining but nothing worth gushing over. There’s an absurd premise played completely straight-faced, but with a budget that makes the visuals seem comprehensible. The narrative never veers too far into complete camp, but there’s no scene that stands out as iconic or emotionally compelling. This film recognizes that people want to see Statham fight a giant shark and it delivers on that selling point. It just doesn’t compare to the more impressive fight between him and the Rock in Furious 7. On its own, The Meg is an mildly enjoyable popcorn flick with little desire to reinvent the wheel. Compared to the multitude of shark B-movies, however, it’s definitely one of the better ones out there. Granted it’s a low bar, but at least SyFy now has a template for doing a good dumb shark movie. Unfortunately, Ian Ziering barely qualifies as a poor man’s Jason Statham.